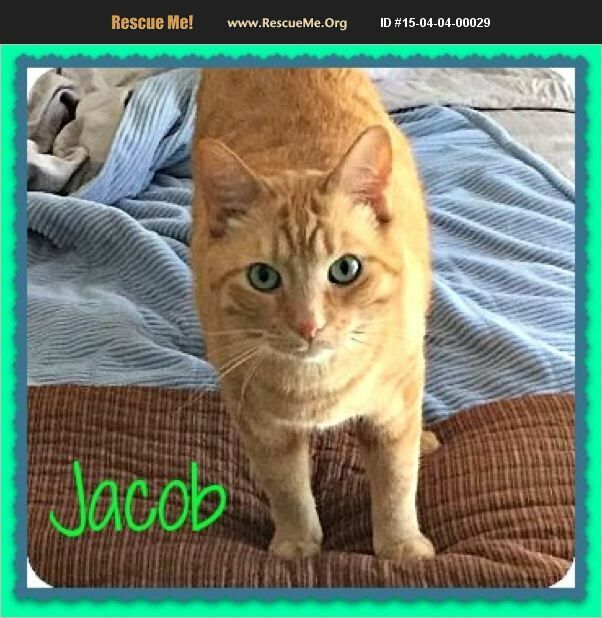 Jacob Male 5 yrs old orange tabby Very sweet , loving & playful Enjoys sitting on laps Very friendly & outgoing kitty. If you are interested in jacob, please feel free to email us. ****Adoption fee is Tax Deductible and includes spay/Neutered, microchipped, combo tested, vaccinations, dewormed and flea control. ****Adoption fee goes towards food, bedding, medical expenses, shelter fees to rescue cats from high kill shelters before they are put to sleep, ect.